This year’s Lawrence County Chamber of Commerce annual banquet paid tribute to the 200th anniversary of Lawrence County. The theme was “Yesterday, Today, Tomorrow: Celebrating Lawrence County 1815-2015. 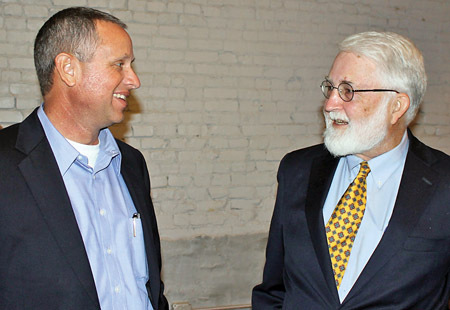 The banquet, held Thursday evening at The Studio in downtown Walnut Ridge, featured Tom Dillard, who is one of Arkansas’ leading historians, who spoke about some of the county’s more colorful and interesting historic citizens. Birthday cake, in the shape of Lawrence County, was served to the more than 125 attendees. 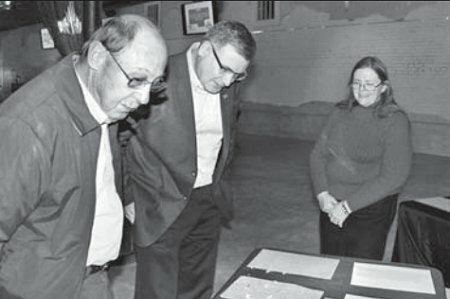 Dr. Lisa Perry, archival manager from the Northeast Arkansas Regional Archives in Powhatan, displayed several documents from Lawrence County’s earlier history. Prior to Dillard’s speech, Jon Walter read a proclamation from Arkansas Gov. Asa Hutchinson. The proclamation recognized the 200th anniversary of Lawrence County.